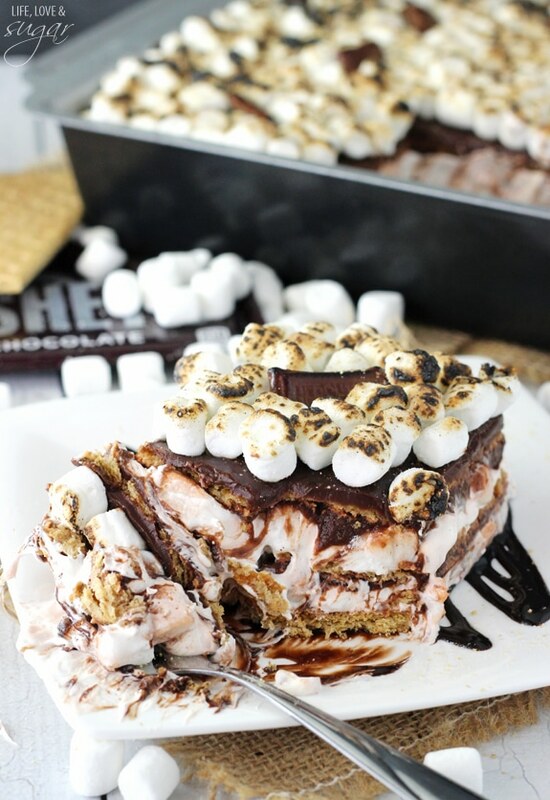 This S’mores Icebox Cake is no bake, easy and full of graham crackers, marshmallows and chocolate! It’s a fun treat that’s getting me in the mood for fall. I don’t know about you, but I’d be ok with it cooling down a bit. I know we probably have another couple months before it really starts to cool down, but I’m ready. 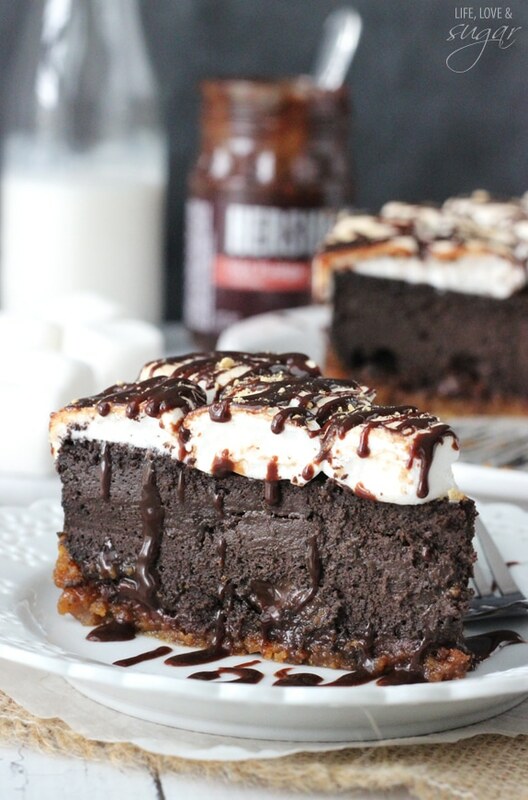 And this S’mores Icebox Cake is perfect for now and as is starts to cool down. 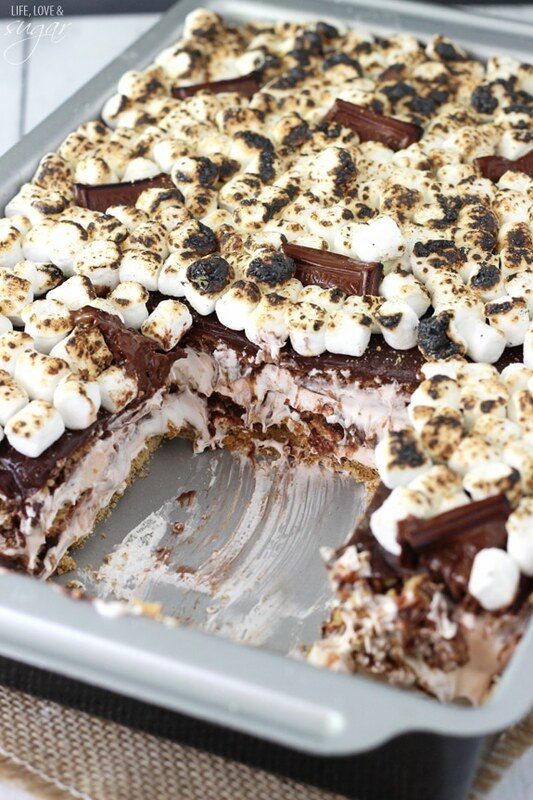 When I think of s’mores, I always think of camping. While I wouldn’t necessarily call myself a camper, I’ve done my share of camping. In fact one of my very favorite camping trips was in college with some of my closest girlfriends. We all grew up together in North Carolina and went up to Boone, NC right when school ended for the summer. We hiked up this mountain that was covered in massive rocks that had a river running through it. We were totally insane. We carried a 6 person tent, a cooler full of food for 3 or 4 days and all of our crap up this mountain, literally jumping across the water from rock to rock and passing the cooler and gear across to each other. It took hours for us to get to the top where we were camping. But you know what? It was some of the most fun I’ve ever had with those girls. We had a great time – and one of things we enjoyed was some s’mores. Real, legit s’mores. Dirt covered sticks and all. 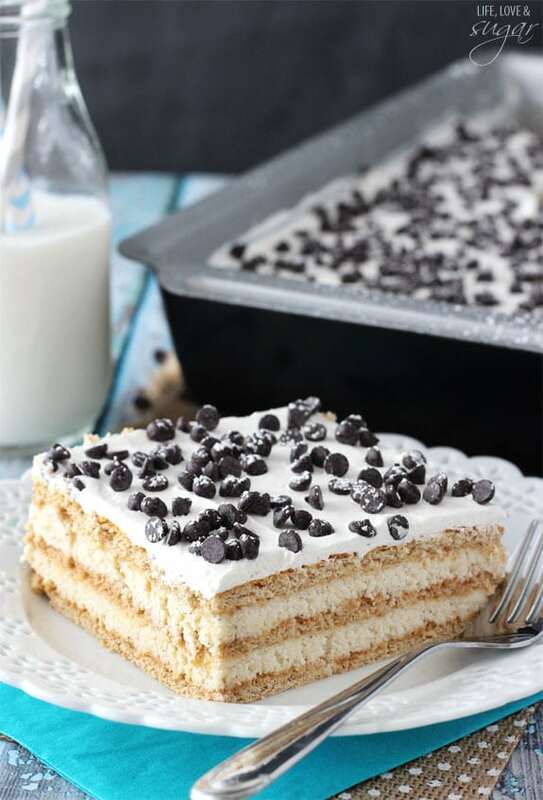 Fortunately, no dirt covered utensils are necessary in the making of this icebox cake. 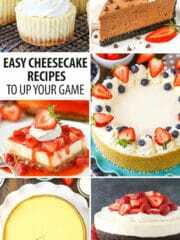 I love the ease of icebox cakes. 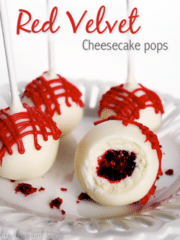 They are a great way to make a fun and tasty dessert. 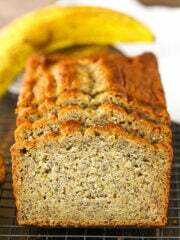 The flavors can be easily switched up and people always love them. A great thing for sharing. And you don’t have to bother with the camping. 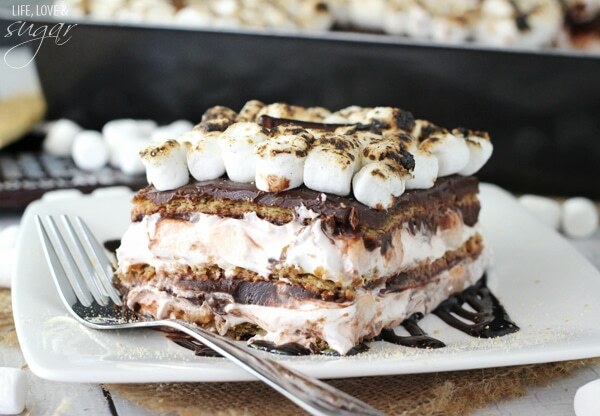 This particular icebox cake has layers of graham crackers, marshmallow filling and chocolate pudding. All the essentials are in there. You’ll need one full box of graham crackers. 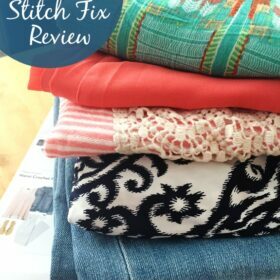 It takes one sleeve for each of the three layers. The marshmallow layer is actually a mix of marshmallow fluff (yummy stuff! ), mini marshmallows and Cool Whip. It makes a nice, light, marshmallow-y layer. Then of course chocolate pudding. And to up the chocolate game a bit, the top of the cake has additional chocolate sauce. Then the whole thing is covered in more marshmallows and some chocolate bar pieces. 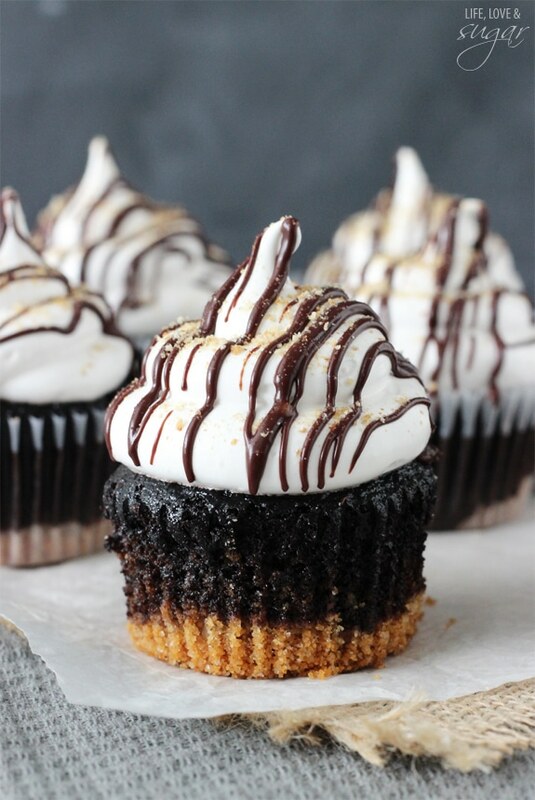 If you don’t have a blow torch, you could also put it in the oven for about 10 minutes on convection bake and let the marshmallows brown a bit. 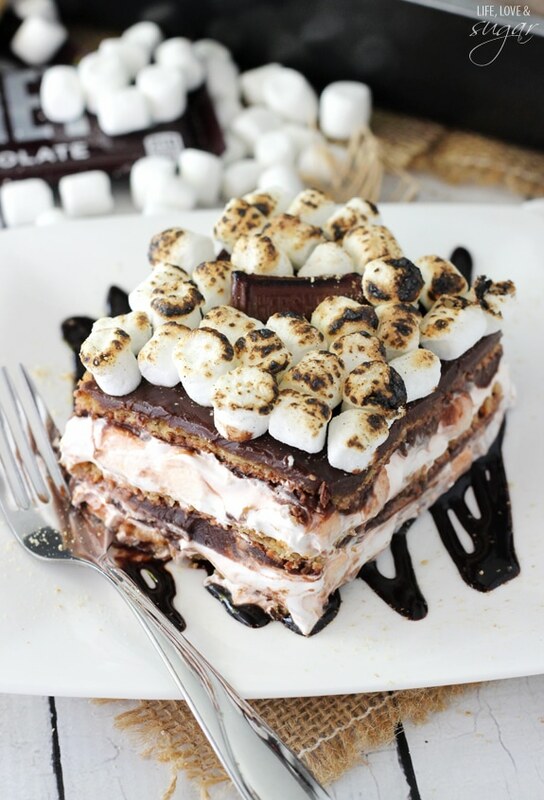 This icebox cake is sure to be a hit with anyone who loves s’mores! We certainly loved it! 1. 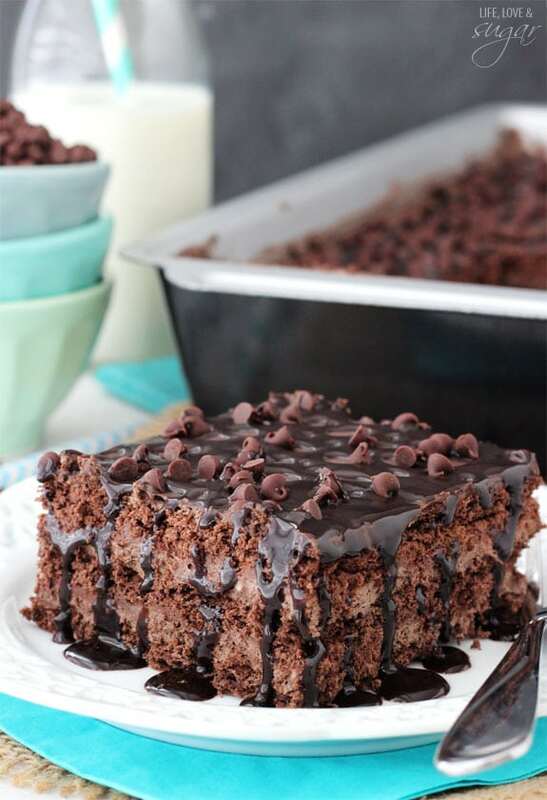 Make the chocolate pudding by adding the milk to the mix and whisking for about 2 minutes, until pudding begins to thicken. 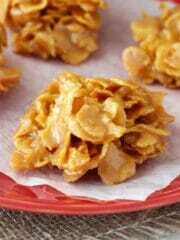 You can make both packages in one bowl and then divide it in half, or make them in two separate bowls. 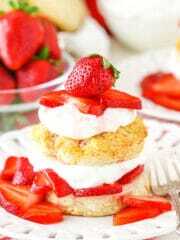 Set pudding aside. 2. In a large bowl, gently stir the marshmallow fluff and Cool Whip together until well combined. 3. Stir the mini marshmallows into the Cool Whip mixture. 4. 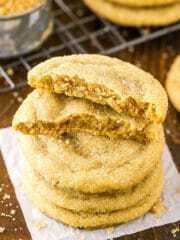 Place a single layer of graham crackers along the bottom of a 9×13 pan. You may need to break some in halves to make them fit. 5. Spread half of the marshmallow mixture on top of the graham crackers. 6. Spread half (one package) of the chocolate pudding on top of the marshmallow mixture. 7. Place another layer of graham crackers in a single layer on the top of the pudding. 8. Spread the remaining half of the marshmallow mixture on top of the graham crackers. 9. Spread remaining chocolate pudding on top of the marshmallow mixture. 10. 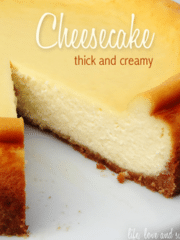 Place another layer of graham crackers in a single layer on the top of the pudding. 11. 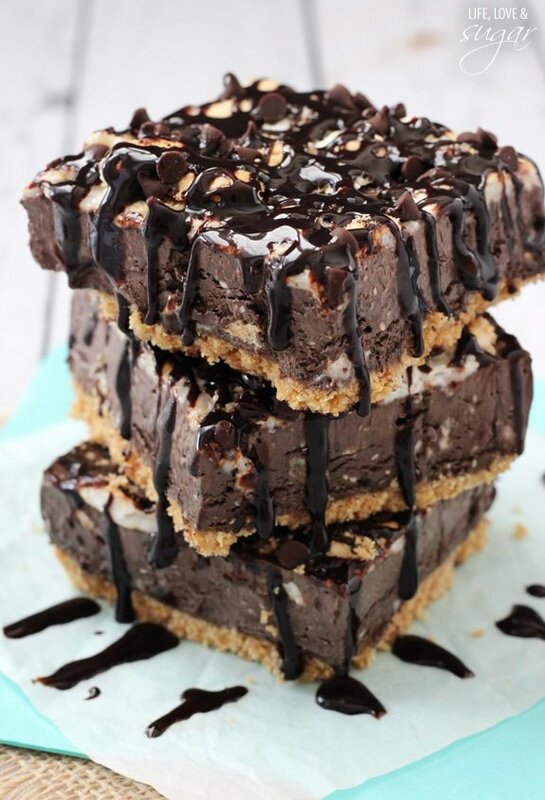 Spread chocolate sauce over the top of the graham crackers. 12. 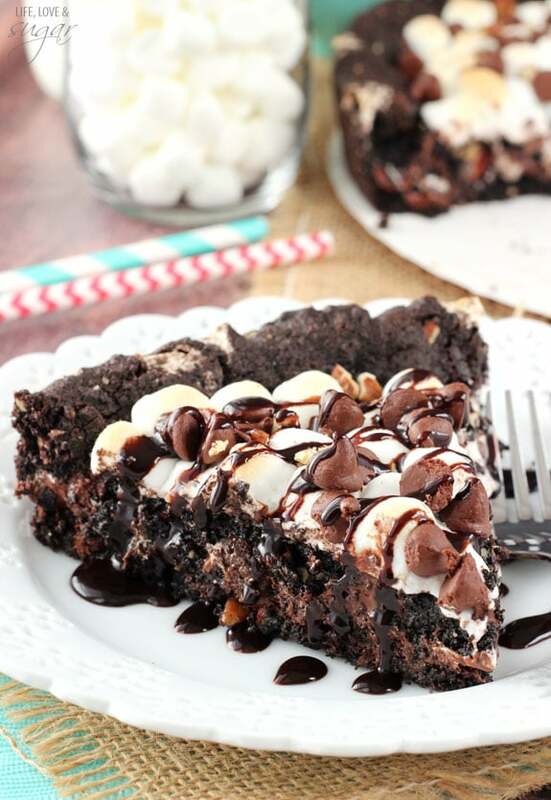 Spread additional mini marshmallows across the top of the icebox cake and add a few Hershey’s chocolate bar pieces, if desired. If you have a blow torch, you can toast the marshmallows with it. I need some real campfire s’mores! Camping memories bring me back, too. Now I’m old and tend to want room service. And I’m lazy about making real ones. So this cake will be much better! Oh man, this looks insane! I’m not much of a camper either, but that IS when they are the best. 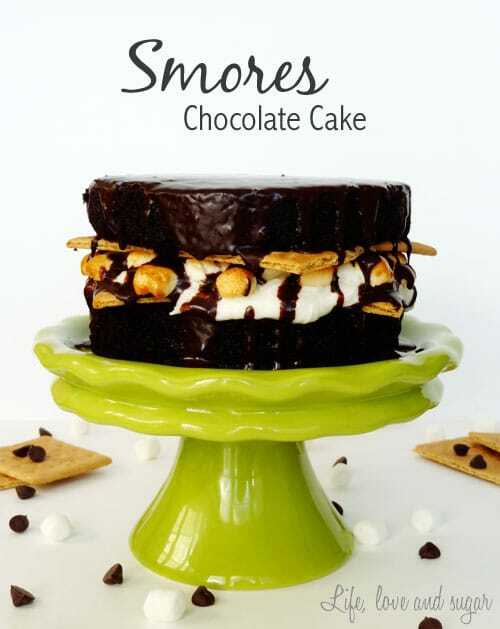 S’mores are one of my favorite things so I’m definitely going to have to try this! 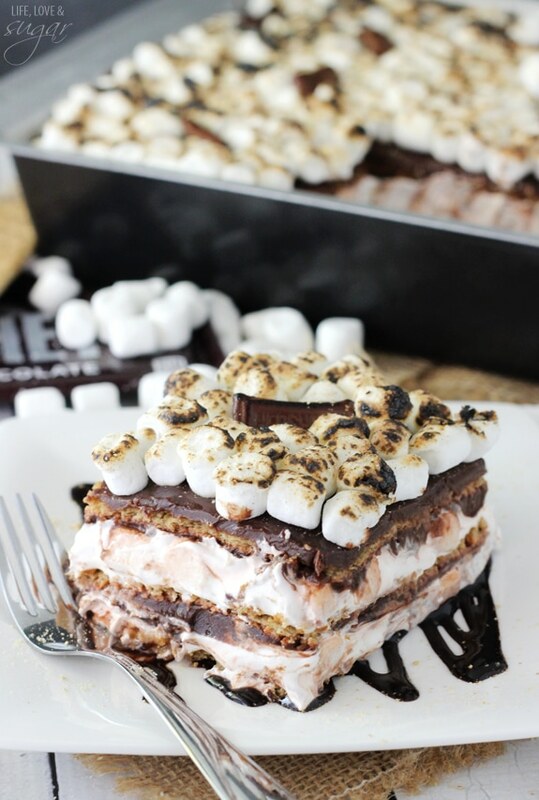 Love all the layers and toasted marshmallows on top! 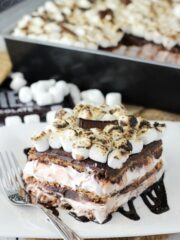 This has to be the best icebox cake I have seen! 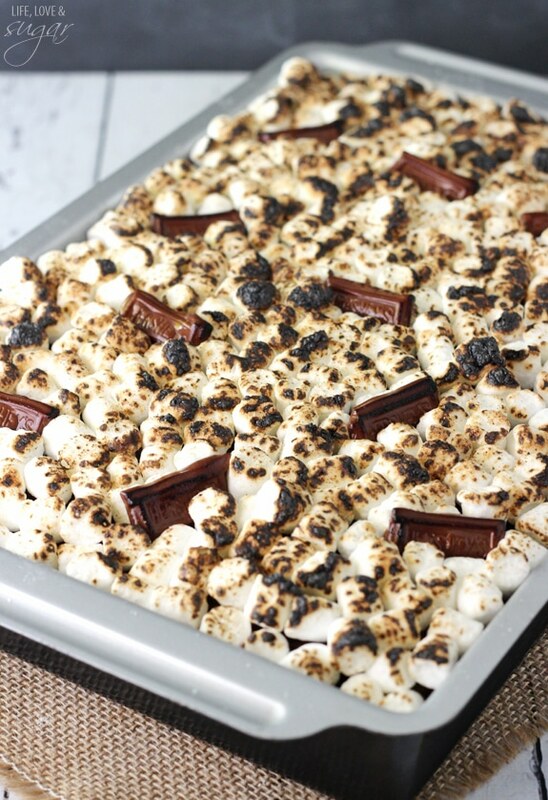 Love that you toasted the marshmallows on top! I am with you…I am no camper. Maybe glamping. 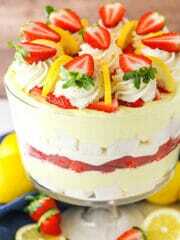 And I will bring along this icebox cake to celebrate! I agree, I could totally go for some cooler weather! 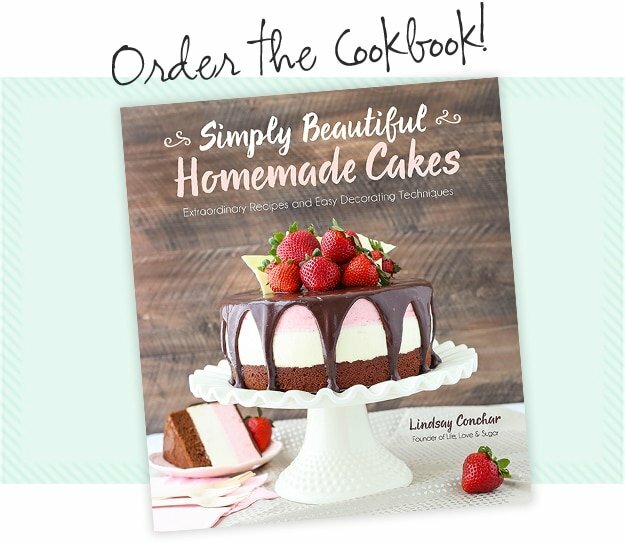 Fall is my favorite 🙂 I am making this cake ASAP…I am in LOVE! I love this trip down memory lane. 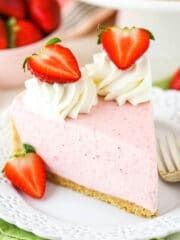 Dessert sounds amazing too! 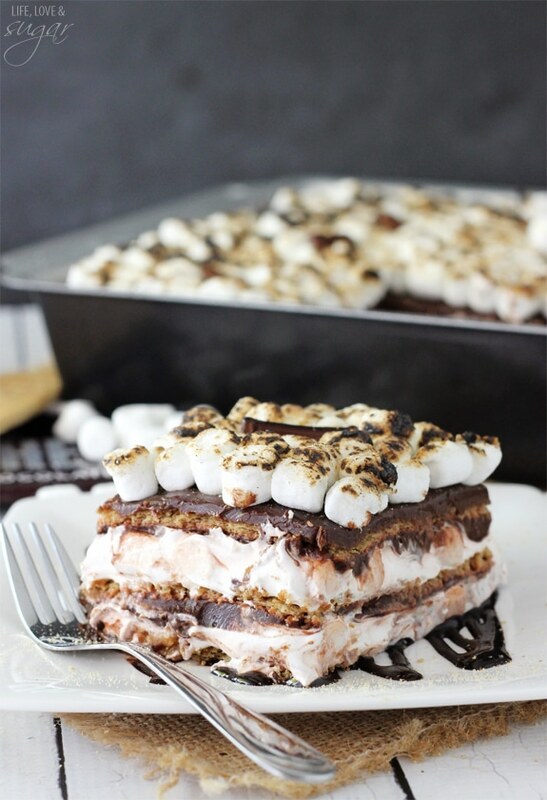 You know, I’ve made a s;mores icebox cake before but I think yours wins. You can do no wrong. I’m not sure how fast you’ll respond but is the convection option on the oven similar to broiling? I’m not sure if I have the convection option. I think they’re similar enough for toasting the marshmallows, yes. 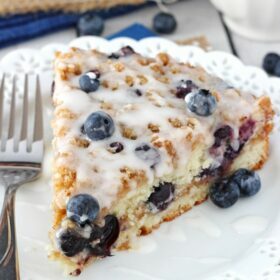 What size pan do you make this in? Will this keep well if I make and refrigerate it the day before a party? Hi, is chocolate sauce the same as chocolate syrup? Thanks! In my experience, the consistency is different. The syrup is thicker and better for a desire like this, in my opinion.